Turf Club chief executive Denis Egan has defended the appeals process in the wake of the high court's decision to quash all penalties in relation to the Pyromaniac case. A court hearing led to the turnover of Pyromaniac's 42-day ban and his trainer Tony Martin's €1,000 fine, which had already been halved after veterinary evidence was brought to bear at the initial appeal. The high court venture by Martin and Maurice Regan's Newton Anner Stud turned on the premise that a conviction under a separate clause of the non-triers' rule was outside the remit of the appeals panel, pleading it should have dealt only with the initial finding of the Killarney stewards. 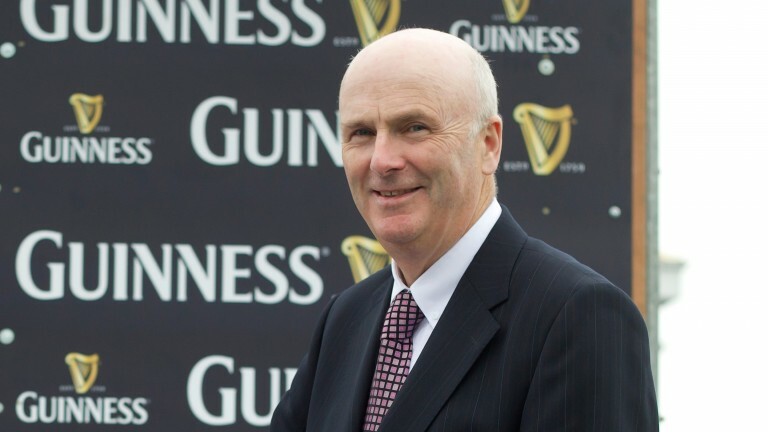 Asked if the panel had erred in not simply backing or turning over the original conviction, and whether it was within its remit to find connections guilty under a separate part of rule 212, which is due to be amended today, Egan said: "Well, the main rule is every horse should run on its merits, and there are three sub-rules in that. This is where it all got very grey, because each sub part leads to being in breach of the main part. "The appeals panel made a decision which they believed was correct, based on the evidence that was presented to them." The rate of successful appeals shot up to 61 per cent (from 25 per cent) in 2014 and 2015, and the Pyromaniac outcome is one of a number of high-profile cases in that time that led to the Turf Club being frustrated in its attempts to implement its own rules. Egan concedes that a significant proportion of stewarding decisions have been overturned. While he is adamant the appeals system is fulfilling its brief, he also feels the pending changes will simplify implementation of rule 212. "That happens and it is the nature of any appeal system," he said of the reversals. "If an appeals body ruled 100 per cent in favour of the Turf Club on every occasion, there would be a problem with that, because people would say there is no point in appealing, it is biased. "It shows the appeals system works. There have been a number of reasons why these cases have been turned over and these are going to be addressed in the new rule. The problems that have arisen should not arise again, notwithstanding the fact anybody who wants to go to court, can go to court. Unfortunately, challenges are becoming more prevalent." Pressed on the perception that the regulator has found it hard to make big decisions stick, Egan accepted that it was a challenge. "It has proved extremely difficult heretofore, but we believe – and we have got some of the top legal brains in the country who are part of this organisation – that the new rule will eliminate a lot of the difficulties that we have been having up to this." Egan also made reference to the Yachvili case, which in 2015 saw the supreme court reject a Turf Club appeal against a finding that it is amenable to judicial review proceedings. "In that case the supreme court found the Turf Club is an organisation which is subject to judicial review, so all of our decisions can be reviewed through the court. We have got to live with it – that is a decision from the supreme court. "What we have got to ensure is we do our work here correctly, so that if we do go into court, nobody can turn around and say we didn't do it correctly. Justice O'Donnell said in one of the findings of the supreme court that there was nothing advanced at any stage to say that the applicants were not treated fairly and impartially - it was on a technical point. "And it is the same with the Pyromaniac case. There was nothing to say that people weren't treated fairly or impartially, it was on a technical point."